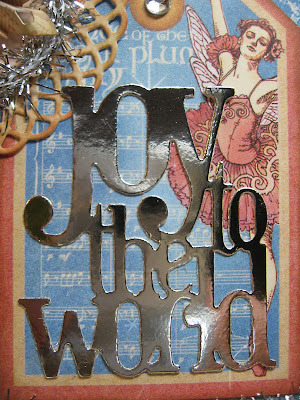 Annette's Creative Journey: Eclectic Paperie goodies arrived! As a new design team member of the Eclectic Paperie, I was very excited to receive my first box of goodies to design with. It arrived two days before Thanksgiving, so with the busy holiday weekend it was killing me not to be in my studio creating all kinds of fun things, but I did manage to make a card and tag for the Christmas season. 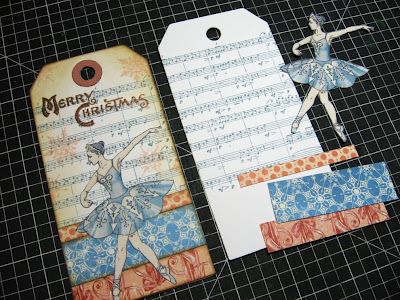 You may not know it at first glance, but the paper is from Graphic 45's Nutcracker Sweet line. I occasionally like using the back sides of the papers for their small background patterns. 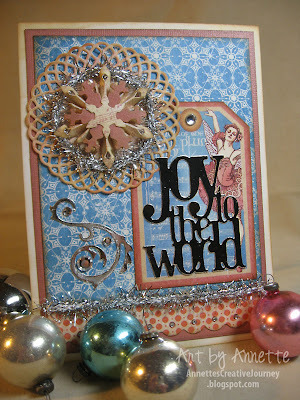 Silver card stock cut from Tim Holtz's new Stacked Words - Christmas strip die. More silver trimmings. This one is from Tim Holtz's Festive Greenery strip die. 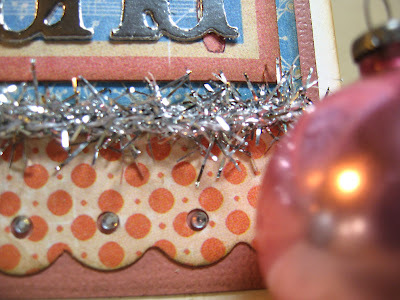 Tinsel twine is small and light. Perfect for cards. 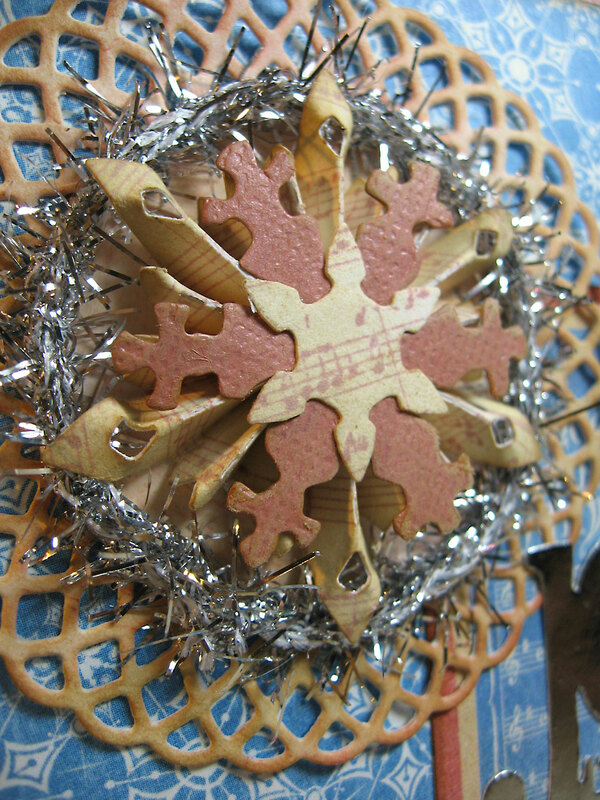 Snowflake cluster on a doily with more tinsel trimming. The snowflake cluster was easy to make. 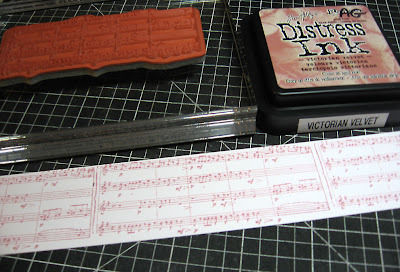 First, I stamped this sheet music images across a strip of white card stock. 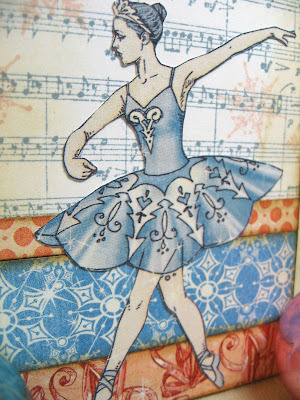 The stamp comes from one of Graphic 45's Nutcracker Sweet III stamp sets. 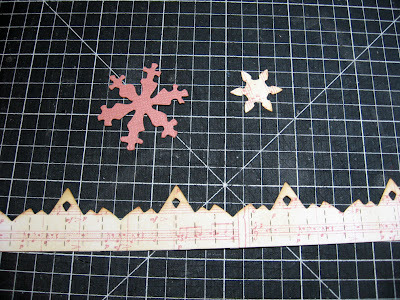 I ran the strip through my Vagabond machine using Tim Holtz' s Mini Snowflake Rosette die. This is the smallest of the two on the die. 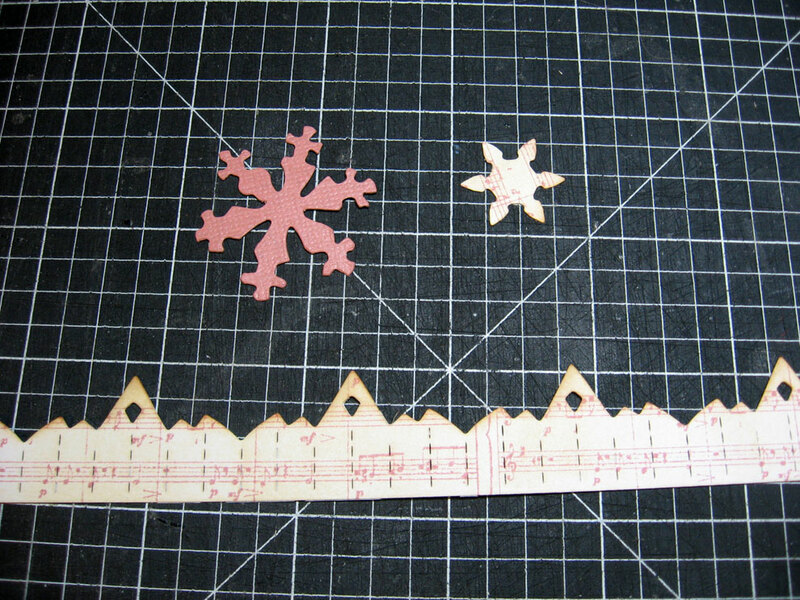 The little snowflake at the top right is from the same die and the larger pink snowflake is from Tim's Mini Snowflake Set mover and shaper die. I inked all of the pieces with Antique Linen and then the outer edges with Vintage Photo. Whoever invented the rosette die was a genius. I love them! And Tim's snowflake rosettes are fantastic. 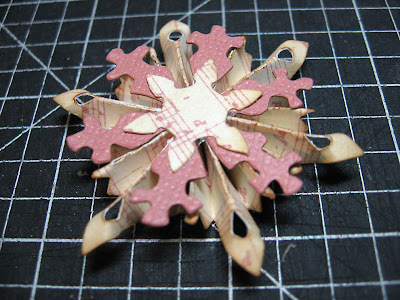 After creating the rosette, I layered the three pieces using a thick tacky glue. 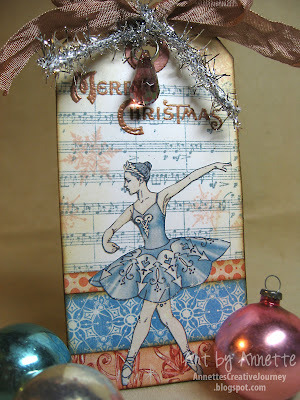 I also whipped up a quick tag while I was playing with the Nutcracker Sweet papers. 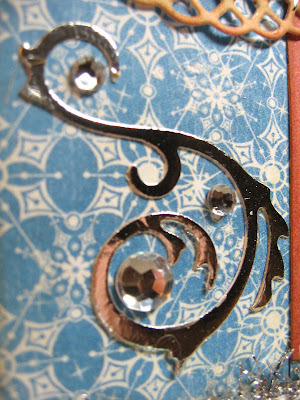 The tag itself is about 4 inches high, cut from Tim Holtz's Tag and Tie die. The top is secured with tinsel twine and colored Crinkle Ribbon with a pink gem dangling from the center. Using the same music notes stamp as before, this tag came together pretty quickly. 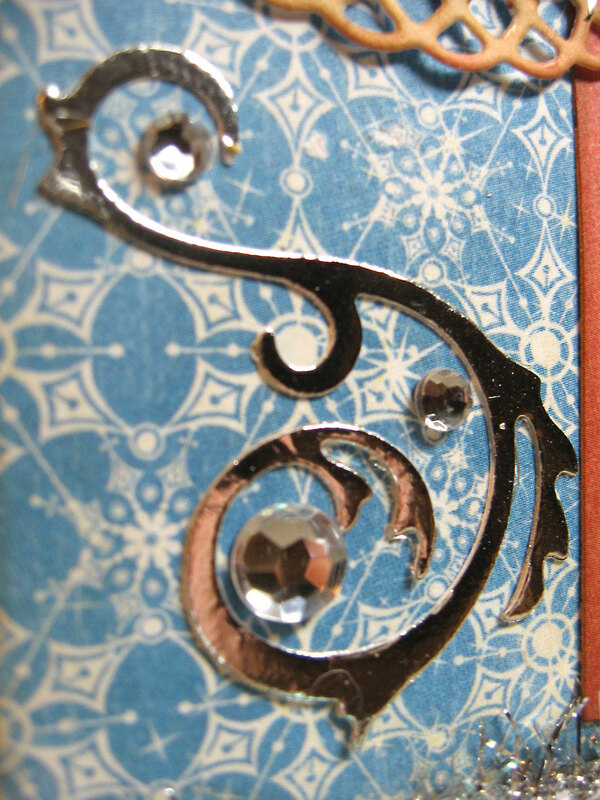 Inking edges in the same manner, it gets a distressed antique look. 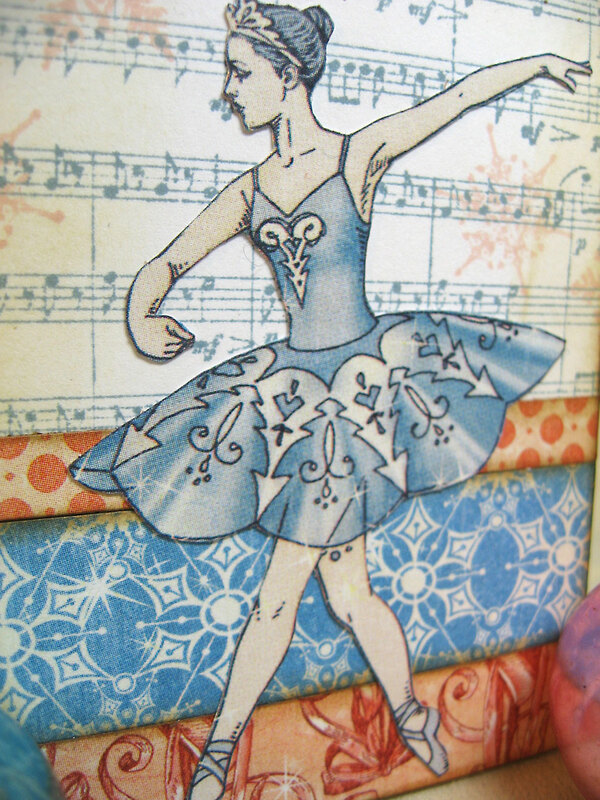 This ballerina image is cut from one of the papers in the 12 x 12 Nutcracker Sweet papers. Now it's time to dig back into that box and check out what other goodies I can create with. See you again soon. Thanks for stopping by! 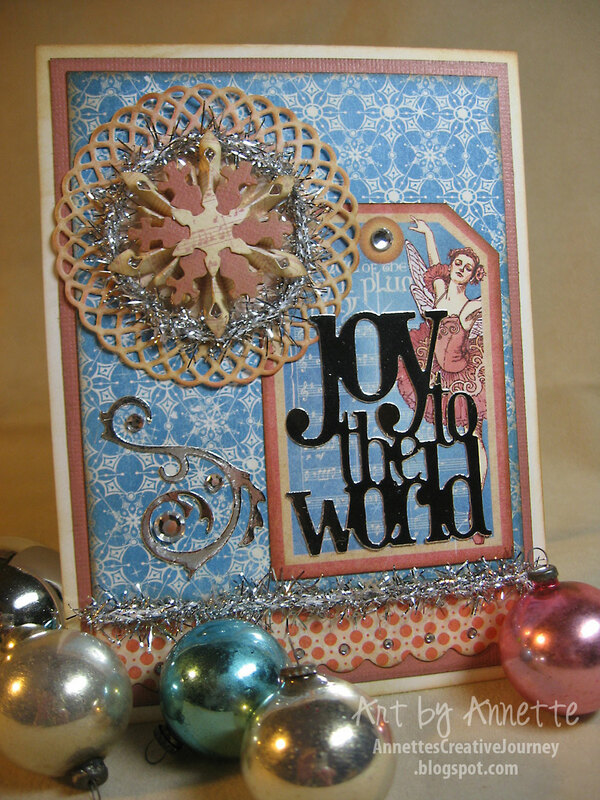 Beautiful card and tag, Annette! Beautiful card and tags. 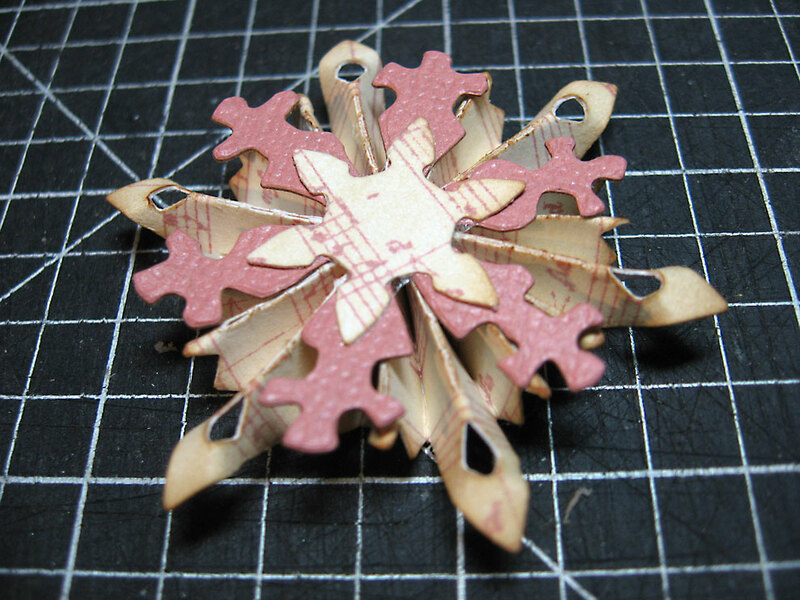 I love Tim snowflake die, it's on my wishlist ! Beautiful creations, Annette! Love your snowflake cluster and all those gorgeous layers. Awesome projects, I particularly like the tinsel. Congrats on your new dt position! Came from Marjie's blog to see your post. 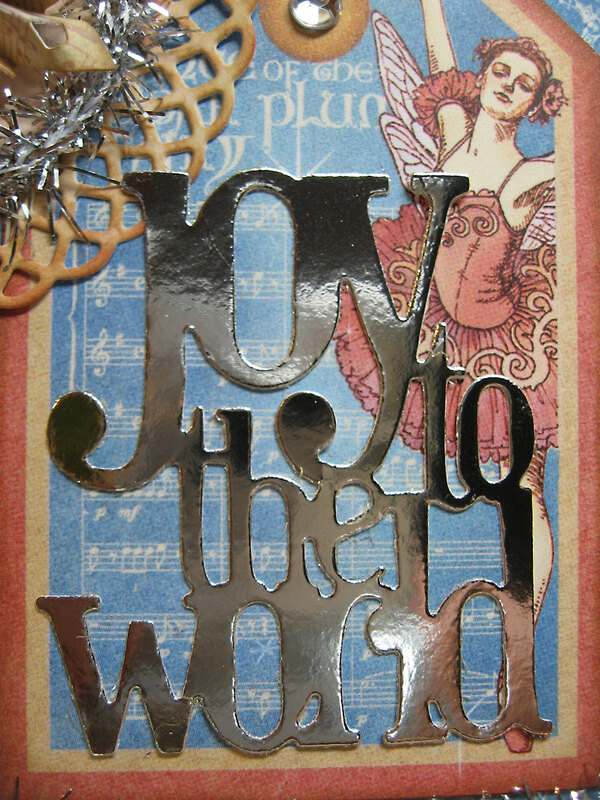 Love what you've done with the papers: a wonderful card and tag. Really love the touches of silver and the snowflake. Hi Annette this is my first visit to your blog but certainly wont be my last. Love the creations you have made and congrats on the DT post.